In the field of music there is much to be explored, and the psychological influence of music seems little known to modern science. We are taught that the influence of music, or of sound and vibration, comes to us and touches the senses from without; but there is one question which remains: what is the source of the influence that comes from within? The real secret of the psychological influence of music is hidden in that source, the source where sound comes from. It is plain and easy to understand that the voice has a certain psychological value that one voice differs from another, and that every voice expresses its psychological value and has its psychological power. Very often one feels the personality of one who is talking at a distance over the telephone. A sensitive person can feel the effect of the voice alone, without seeing the speaker. And many do not depend so much on words, as upon the voice that is speaking the words. This shows that psychological development is expressed in speaking, and more especially in singing. In Sanskrit breath is called Prana, the very life. And what is voice? Voice is breath. If there is anything in life, in man's constitution, which may be called life, it is the breath. And the sound of the voice is breath manifested outwardly. Therefore a person can best express himself in song or in what he says. If there is anything in the world that can give expression to the mind and the feelings, it is the voice. Very often it happens that a person speaks on a certain subject with a thousand words, and it has no influence; yet another person who expresses a thought in a few words can make a deep impression. This shows that the power is not in the words, but in what is behind the words; that is, in the psychological power in the voice which comes from Prana. According to its strength it impresses the listener. The same thing is found in the fingertips of the violinist, and in the lips of the flute player. According to the influence coming from his thought, the musician produces that influence through his instrument. He may be very skillful, but if his finger-tips do not produce a feeling of life, he will not be a success. Apart from the music he plays there is the value of the Prana or psychological power that he gives to what he plays. 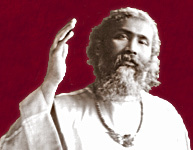 In India there are vina-players who do not need to play a symphony in order to exert an influence; in order to produce a spiritual phenomenon. They only have to take the vina in their hand and strike one note. As soon as they strike one note it penetrates through and through; in striking one or two notes they have tuned the audience. The sound works on all the nerves; it is like playing on the lute which is in every heart. Their instrument becomes simply a source, the response to which is found in the heart of every person, friend and foe alike. Let the most antagonistic person come before a real vina-player, and he cannot keep his antagonism. As soon as the notes have touched that person, he cannot prevent the vibrations which are created in him; he cannot help becoming a friend. Therefore in India such players are often called, instead of musician, 'vina magician'. Their music is magic. A really musical soul is someone who has forgotten himself in music; just as a real poet is someone who forgets himself in poetry, and a worldly soul is someone who has lost himself in the world. And godly is the soul who has forgotten himself in God. All the great musicians, Beethoven, Wagner, and many others who have left to the world a work, which will always be treasured, would not have been able to do so if they had not forgotten themselves in their work. They altogether lost the idea of their own being, and in that way they deepened and became one with the thing they had come to give to the world. The key to perfection is to be found in forgetting the self. There are different ways of listening to music. There is a technical state, when a person who is developed in technique and has learnt to appreciate better music, feels disturbed by a lower grade of music. But there is a spiritual way, which has nothing to do with technique. It is simply to tune oneself to the music; therefore the spiritual person does not worry about the grade of the music. No doubt, the better the music the more helpful it is for a spiritual person; but at the same time one must not forget that there are Lamas in Tibet, who do their concentrations and meditations while moving a kind of rattle, the sound of which is not specially melodious. They cultivate thereby that sense which raises a person by the help of vibration to the higher planes. There is nothing better than music as a means for the upliftment of the soul. No doubt the power of music depends upon the grade of spiritual evolution that a person has touched. There is a story of Tansen, the great musician at the court of Akbar. The Emperor asked him, 'Tell me, O great musician, who was your teacher?' He replied, 'your Majesty, my teacher is a very great musician, but more than that; I cannot call him 'musician', I must call him 'music''. The Emperor asked, 'Can I hear him sing?' Tansen answered, 'Perhaps, I may try. But you cannot think of calling him here to the court'. The Emperor said, 'Can I go to where he is?' The musician said, 'His pride may revolt even there, thinking that he is to sing before a king'. Akbar said, 'Shall I go as your servant?' Tansen answered, 'Yes, there is hope then'. If we study life today, in spite of the great progress of science, the radio, telephone, gramophone, and all the wonders of this age, yet we find that the psychological aspect of music, poetry and art does not seem to develop as it should. On the contrary, it is going backward. And if we ask what is the reason, the answer will be in the first place, that the whole progress of humanity today is a mechanical progress; and this hinders the progress of individualism. A musician has to submit to the laws of harmony and counterpoint; if he takes one step differently from the others his music is questioned. When in Russia I asked Taneiev, a very great musician, who was the teacher of Scriabin, what he thought of Debussy's music. He said, 'I cannot understand it'. It seems that we are restricted by uniformity so that there is no scope; and you will find the same thing in the medical and scientific worlds. But in art especially, where the greatest freedom is necessary, one is restricted by uniformity. Painters and musicians cannot get their work recognized. They must follow the crowd, instead of following the great souls. And everything that is general is commonplace, because the great mass of the people are not highly cultured. Things of beauty and good taste are understood, enjoyed and appreciated by few, and it is not easy for the artists to reach those few. In this way, what is called uniformity has become a hindrance to individual development. What is necessary today is that in children's education the psychological value of music should be taught. That is the only hope, the only way in which we can expect better results as time goes on. Children learning music should not only know the music, but they should know what is behind it and how it should be presented. Of course there are two sides to this question: outward conditions, and the presentation of the art. Outward conditions may be more or less helpful. Music or a song performed before two or three people who are congenial, sympathetic, harmonious, understanding and responsive, brings quite a different vibration, creates a different effect, from the same music or song played before five hundred people. What does this mean? It means that some people are like instruments; when good music is presented before them they respond, they become attuned to it, they are all music. They take a share in the music, and therefore a phenomenon is created. And this phenomenon can reach even the highest ideal that is to be expected of music, which is the realization of the soul's freedom; what is called Nirvana or Mukti in the East, and Salvation in the Christian world. For there is nothing in this world which can help one spiritually more than music. Meditation prepares, but music is the highest for touching perfection. I have seen wonders happen through the psychological power of music, but only when there were congenial surroundings. Five or six people, a moonlight night, or dawn, or sunset. It seems that nature helps to complete the music, and both work together, for they are one. If a great opera singer or violin soloist has to play before ten thousand people, with all his ability he cannot touch every soul there. It depends upon the greatness of the artist of course. The greater the artist the more he will reach. But he has to consider what will please his audience, not what will be pleasing to God. When music becomes commercial its beauty is lost, and also much of its value. There was a time in the East when every effort was made by the aristocracy of India to keep the art of music from being commercialized, and they were successful for some time in doing so. Musicians were not paid a fixed sum of money. Their needs were supplied even though they were extravagant. Musicians felt that they should have the surroundings of harmony and beauty; they were generous and their doors were always open to others. They were always in debt, but their debts were paid by the king. Besides this the musician was not restricted by a program; he was left to feel by his intuition what people wanted. He had to decide at the moment he saw them, and as he went on playing or singing he knew more. The chemical effect of the listeners' minds told him what they wanted, and the result was a spiritual feast. The secret of all magnetism, whether expressed through personality or through music, is life. It is life, which charms, which is attractive. What we are always seeking for is life, and it is lack of life, which may be called lack of magnetism. And if musical teaching is given on this principle, it will be most successful in its psychological results. It is on the health of the physical body, on thought, on imagination, and on the heart, which is very often cold and frozen, that psychology depends; and it is this life which one expresses through one's finger-tips on the violin, through one's voice when singing. What the world is seeking, what human souls yearn for, is that life, whether it comes through music, color, lines, or words. What everyone desires is life. It is life, which is the real source of healing; music can heal, if life is put into it. There is no great secret about this, if only a person is able to understand the truth in its simplicity. When a person plays mechanically, the fingers running about the piano or violin almost automatically, it may create a temporary effect, but it soon passes. Music which heals the soul is music with a soothing effect. One can produce a soothing effect, or a harsh effect; and this depends not only on the musician, but upon the composer also, upon the mood that has inspired him. A person aware of the psychological effect of music will find it easy to understand what mood the composer was in when he wrote. If he has put life and beauty into his music it will still prove to be beautiful and life giving, even after a thousand years. No doubt study and qualifications help him to express himself better; but what is really needed is that life which comes from the expanded consciousness, from the realization of the divine Light which is the secret of all true art, and which is the soul of all mysticism. Composition is an art rather than a mechanical arrangement of notes. A composer of music performs his small part in the scheme of nature as a creator. Music being the most exalted of arts, the work of the composer of music is no less than the work of a saint. It is not only the knowledge of technicality, of harmony, of theory that is sufficient: the composer needs tenderness of heart, open eyes to all beauty, the conception of what is beautiful, the true perception of sound and rhythm, and its expression in human nature. By composing music a composer must create his own world in sound and rhythm. His work, therefore, is not a labor, it is a joy, a joy of the highest order. If the composer writes music because he is obliged to write something, that is not the thing to do. The composer should write when his heart feels like writing, when his heart is singing, when his soul is dancing, when his whole being is vibrating harmony. That is the time that he should write music. Question: Is it a distinct disadvantage for a human being to be born without a good ear? Answer: It is, because what is received through the ears goes deeper into the soul than what is received through any other way. Neither by smelling, or tasting, or seeing does beauty enter so deeply into oneself as by hearing. Question: As music is the means to perfection, are unmusical persons imperfect? Answer: To play or sing oneself, and to listen to music are two different things. A person may become a musician by learning music theoretically and mechanically. But only he is really a musician who lives in music and loses himself in music. All people have music in them, in the rhythm and harmony of their actions and life. If a musician has the desire for spiritual perfection, I think that he can perfect himself much more easily and quickly than another person.